The Blanchards are invited to the gala event of the season. Lindy’s wealthy friend Eugene Wheatley—who’s just nuts about his new bride—is throwing a party to introduce his wife Jeannie to Riverville, Texas, society. The celebration is in full swing when Eugene is found shot dead. Elizabeth Kane Buzzelli (aka Elizabeth Lee) is a Michigan based novelist whose 12th book is due out in 2016. 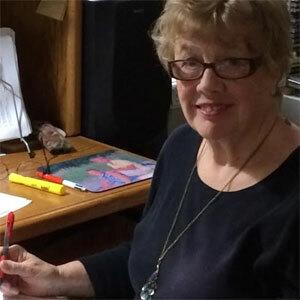 She teaches fiction writing at Northern Michigan College and has written for the NORTHERN EXPRESS, the ROMEO OBSERVER, the DETROIT NEWS, and the RECORD-EAGLE. She is a member of the Author’s Guild, International Association of crime Writers, Sisters in Crime, Mystery Writers’ of America, Michigan Writers, and Detroit Working Writers and has three mystery series out, or about to be published. In the Emily Kincaid series her novel DEAD DOGS AND ENGLISHMEN was chosen one of the best mysteries of 2012 by Kirkus Reviews. 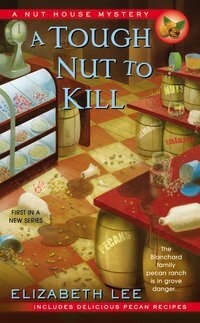 A new series (written as Elizabeth Lee) is now out with the third: NUTS AND BURIED (based in Texas) to be published this November from Berkley Publishers. Another series, beginning with A MOST CURIOUS MURDER, (Crooked Lane Publishers) will be out in July, 2016, with the second: DEATH OF A SAD POET, scheduled later in the year. 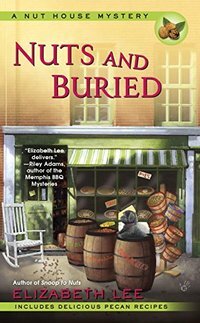 Nuts and Buried sounds like a fun mystery, and the cover is cute! Pecans are one of my favorite snacks so I am hoping the pecan trees recover. Thank you for the giveaway. I entered in Knot Guilty giveaway. I entered in See Me giveaway. I entered in Host giveaway. I entered in White Colander Crime giveaway. I entered in Winter Stroll giveaway. I visited Elizabeth Kane Buzzelli's website, and I liked how her books are organized. I didn't realize how many books she had written. Would love to read more about Lindy, and pecans! Thanks! Nut Farm - hehehe - must read! +5 November FB bonus entry #1. +5 November FB bonus entry #2. +5 November FB bonus entry #3. +5 November FB bonus entry #4. +5 November FB bonus entry #5. People and pecan trees are dying! We living in the area with a lot of pecan trees. I talked to a pecan farmer in the doctor's waiting room a while back and he said that wild hogs were tearing up his land. Perfect for a cozy? I enjoyed reading about the other two books in this nut series. I entered for Knot Guilty. I entered for See Me. I entered for White Collander Crime. I entered for Winter Stroll. I entered in Olive and Let Die giveaway. Entered OLIVE AND LET DIE. I'd like to find out ho wanted Eugene dead and why Jeannie gets blamed. Just because you are an outsider doesn't make you a murderer. I entered in Find A Way giveaway. I entered in Plot Boiler giveaway. I entered in Claws For Alarm giveaway. Cute cover and reading about pecans should be interesting! Cool! The Nut House family store! There was a nut shop back home with the same name (in Michigan). I like the idea that Lindy's Meemaw actively helps with sleuthing, and that they are willing to help the one who looks like the most obvious killer solve the mystery and find the 'real' murderer. I entered in Along The Infinite Sea giveaway. I entered in Writing All The Wrongs giveaway. Entered WRITING ALL THE WRONGS. I follow on Networked Blogs as Sue Farrell. I entered in Death Takes Priority giveaway. I entered in Rest Ye Murdered Gentlemen giveaway. Entered REST YE MURDERED GENTLEMEN. I entered Olive and Let Die. I entered Claws for Alarm. I entered Writing All Wrongs. I entered Death Takes Priority. I entered Rest Ye Murdered Gentlemen.